Seth Godin said that marketers need to move away from the type of marketing that 'assaults' people with messaging over and over again and start communicating using 'permission marketing'. 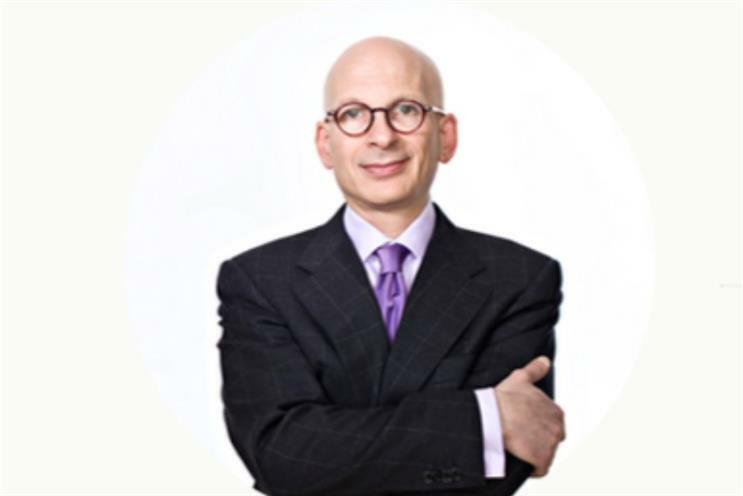 Consumers are turned off brands because people have been "branded to death", writer and marketer Seth Godin said in a talk at the Bazarvoice 2015 Summit in New Orleans yesterday. Delivering a keynote speech, he drew parallels with the industrial revolution and the rise of mass marketing, arguing that the kind of marketing that interrupts people no longer works thanks to a proliferation of new platforms and touch points created by the internet. Mass marketed, mediocre products, he asserted, were no longer relevant in today's world of individuals and 'outliers', who define themselves by not following the lead of the masses. Marketers needed to push back on businesses that demanded mass marketing and communicate by treating people differently. Marketers needed to lead the way in connecting with consumers in a new and authentic way, rather than mass targeting individuals who "don't want to listen anymore." "We can now for the first time in 200 years treat different people differently. There is no more mass marketing." He argued that there were "more people outside the curve [of average] than inside the curve" and that consumers moving away from the norm would continue as the world moved away from industrialisation ideals of mass taste. "The outliers are fascinating, eager, paying attention", he said. "This is an opportunity to make things that are different." He cited a number of brands that have grown rapidly including Zipcar, Facebook and Instagram as brands that have targeted outliers. "Every one [of these businesses were] built over the past 10 years for 'weird people'. None of these brands make average stuff for average people.... They were born on the edges." Making and marketing mass products was becoming increasingly irrelevant to the consumer of today. "We were raised to believe we were meant to follow leaders. But it turns out the opposite is going on here: that we're leaving the industrial economy." "So... If your company says you can choose anyone and we're anyone, don't be surprised when people sort by price. Because you're instructing them to do so." Marketers, however, held the "key" and needed to start swimming upstream to influence innovation and new product development. "Earn the right in your organisation to be in charge," he urged. "The best way to get five star reviews is to make a product that's worthy. The best way to get word of mouth is to make a product people want to talk about. "It is malpractice for us to just sit there and say 'well this is the crap they give me, I've got to do the best with what I can get'. "We can go upstream and start changing what gets made."